Rolls Royce and Bentley Transmission Rebuilding. 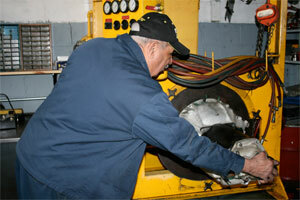 Complete Line of transmission rebuilding services. Welcome to Palma Brothers Transmissions! We are pleased to announce an addition to our family. 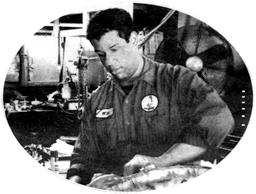 Transmission specialist James L. De Shields has availed his services to us. Certified by both ATRA & ASE Jim has been the proud owner of DeHawk Transmission for the past 30 years. Jim has recently given up the business and is presently teaching automatic transmission theory and application at Camden County Community College. Jim is an expert in all automatic transmissions, from vintage models to today’s computerized multi-speeds. Therefore his vast knowledge is invaluable when it comes to restoring a classic motorcar. We welcome Jim’s Expertise. As experts we strive to provide the best customer service and care for you and all of your transmission needs. We know you have a choice in auto maintenance and strive to make you, the customer, and our number one priority. Our skilled and certified mechanics and knowledgeable staff combine to offer you the highest quality services possible. We offer some of the best warranties in the industry and pride ourselves in excellence while maintaining hometown values. The next time you need transmission work, look no further than our family.